Though you wouldn’t know it from the title, Popular Democracy is about participatory budgeting, full stop. It’s a fantastic little book (213 pgs) that’s both accessible and illustrative, leveraging an ethnographic account of several participatory budgeting case studies to argue for the potential power of participatory mechanisms more broadly. It’s a casually written book that’s a pleasure to read, both because the authors serve up juicy details on the “secret histories” of their case studies (though they deny it’s their intention, 137), and because the theoretical claims that those cases support are provocative. The book is divided up into six chapters. The first two set the frame for the book historically and theoretically, describing the international rise and dissemination of PB as a policy meme. 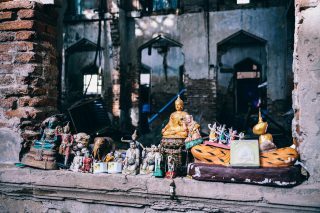 Chapters three through five present ethnographies of individual case studies, and the closing chapter draws some grand conclusions. The first two framing chapters are useful. They situate the authors’ ideological positions clearly. Unlike most scholars who “before asking what participation does, […] rarely ask what participation is and what it means within specific sites” (14), Baiocchi & Ganuza are concerned with the way that PB is experienced by and in turn activates local power dynamics. They thus jump eagerly into their research object, seeking “ontological complicity” (!) (15). These chapters also situate the development of PB usefully within the wider evolution of democratic models globally, most importantly within what they characterize as a move from New Public Management to Public Governance, which is presented as a model of governance oriented towards connections with citizens (for a variety of motivations, noble and less so), and in which the phenomena of the stakeholders and collaborative governance are able to emerge. 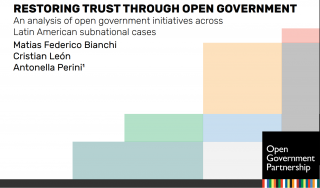 Notably, a pro-active role of government is also central to how the authors understand participation. In contrast to the protests in Paris and Berkeley in the 1960s, the current participatory wave since the early 2000s is governmentally driven (157). This isn’t necessarily contentious, but it’s a clear distinction from accountability and monitorial perspectives that do not rely on governmental anchors, but often find themselves at home in debates about participation. It is from this policy context that the author’s trace a concise history of PB’s emergence and dissemination as a policy innovation, emphasizing the critical role played by international actors like the World Bank, and noting some striking statistics along the way (80% of US municipalities were conducting participatory processes in 2010 ). The case studies contained in the book’s middle chapters are it’s meat and potatoes (Porto Alegre, Córdoba, Chicago). Each instance of PB is significantly different and the authors treat these contextual differences and their impacts on PB in a way that both highlights the profound importance of local context and power dynamics (we often repeat this, but seem always to forget it), while simultaneously drawing some insights from those differences. The most immediate of these insights is a weird interplay of policy resilience and fragility that might be summed up as: participation can get transplanted, but context matters, and though local context might break the initiative, the meme lives on. The Córdoba case is illustrative. Modelled directly and explicitly on the experiences of Porto Alegre, complete with visits and presentations by Brazilian consultants and representatives of municipal governments, it got off to a rocky start. But despite a deep and long participatory local tradition, the political context in Cordoba frustrated easy implementation of PB. Government actors felt threatened by the influx of unprofessional participation and extra work, so dug in their heels to resist the initiative, while factions in the community arose over controversy regarding whether participation should be individualistic or communal. This latter conflict was driven by the exclusion of community associations according to the Porto Alegre model, and when they launched a campaign against PB, they managed to knock public participation in the initiative down by a third, from which it never recovered. 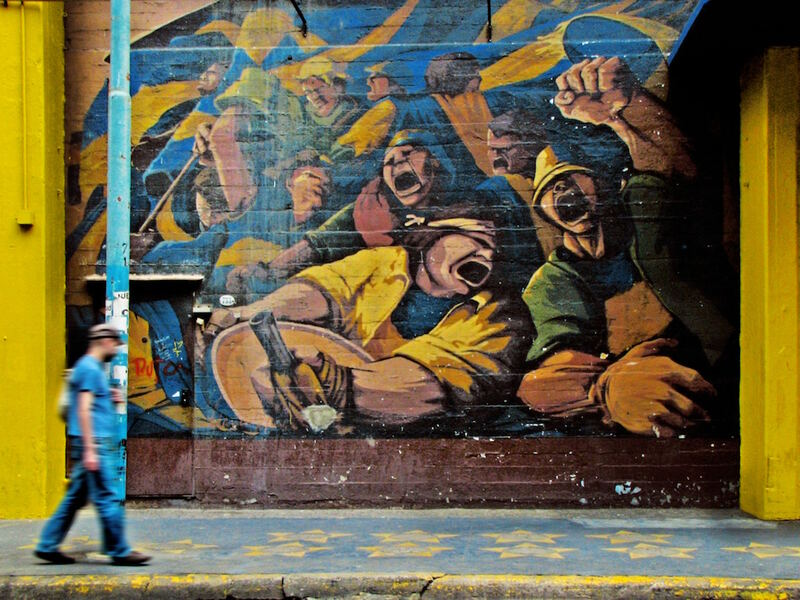 But despite the initiative’s protracted failure, it was widely lauded as a success, spawning copy cat initiatives in several other Spanish and European cities, and the authors go so far as to (credibly) credit Córdoba’s PB initiative with setting the stage for Indignados and the Podemos party. This seems at first a semantica contradiction between success and failure, but the tension it reveals is key. PB’s simultaneous frailty and promise, the marriage of PB’s vulnerability to local administrative and social interests, with its capacity to inspire and mobilize, drives most of the authors’ insights in this book. The closing chapter begins by posing an argument about the potential of participatory mechanisms, arguing that though they have been criticized for not having changed much, critics have “underappreciated how contemporary participatory institutions such as those described here are not necessarily limited by their stated goals and procedures” (136). Participatory mechanisms, argue the authors, are not powerful only because of what they may or may not achieve, but because of what happens in the very interactions that cause them to fail. These small scale conflicts between local actors are actually grand assertions being made on small stages. They are “limit situations” that “hint at paths not taken” in failed initiatives, and those hints serve to ignite the imaginations of participants, to re-imagine what their relationships with government could be (137). This all feels a little wooly and hypothetical to me. There’s lots of ways to re-imagine governance, and if a specific type of policy innovation doesn’t produce results, I’m not so inclined to go looking for this kind of fourth order effects in participants’ imaginations. But as the authors’ develop their argument, they manage to add some convincing distinctions to it. Firstly, the authors distinguish between two components of PB mechanisms, the communicative dimension and the sovereignty dimension. They describe the communicative dimension of PB as the actual interaction between citizens and government, which can spark the imagination of citizens, and whose contours they draw in distinction to theories of deliberative democracy and the Habermassian public sphere (141-145). It is here that arguments about the competing value of expert and citizen knowledge are waged, arguments about traditional roles and representation. These conflicts are productive, and lead to a rethinking of who has what rights and responsibilities in governance. The sovereignty dimension has to do with administrative adjustments that place PB mechanisms procedurally and institutionally at some proximity to actual decision making in government. It is the institutional and physical placement of a seat at the table. This dimension can be assessed according to the channels and roles involved in PB, and is considered the “teeth” of PB initiatives. The authors repeatedly note that the communicative dimension is insufficient to depoliticize public affairs (151, 157), but argue that in contexts where this isn’t possible, the best path is that of least resistance, setting up whatever participatory mechanism is feasible, and seeing where it leads (155). It is in this context that failure can be productive, not only for the spread of PB to new and fertile grounds, but for the contexts in which it fails, when citizens are able to successfully argue for their own role and expertise, for their “right to be wrong” about matters of technocratic policy, and that that matters too (158). All in all, this is a great, if somewhat utopian book. The secret histories are fascinating (I so want to learn more about Chicago politics), as are the dynamics of policy diffusion. I think much of the authors’ intuitions about citizen-state interaction are likely correct as well, though the contexts are so messy that it’s hard to say anything general about them. We likely need a lot more of this type of study. The devil, it seems, remains in the details. Baiocchi, G., & Ganuza, E. (2017). 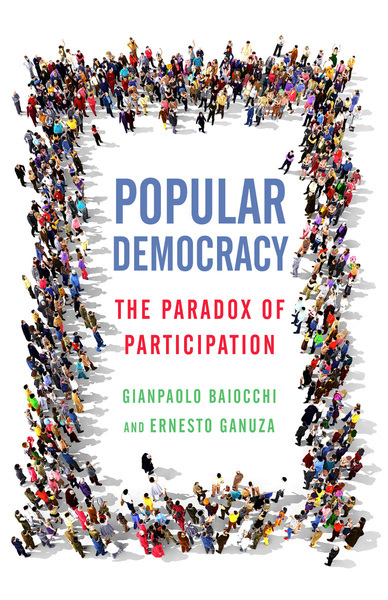 Popular democracy: the paradox of participation. Stanford: Stanford University Press.